Choosing the right photography for your project can make or break a first impression. A custom photo shoot is always the preferred source for photography. Your photographer can work with you to create the perfect custom shot for your brand or business. They can choose the right subjects, set the tone, and creatively enhance your brand’s message. However, hiring a photographer may not be in the budget or timeline for your project. Therefore, many companies turn to stock photography as an alternative. 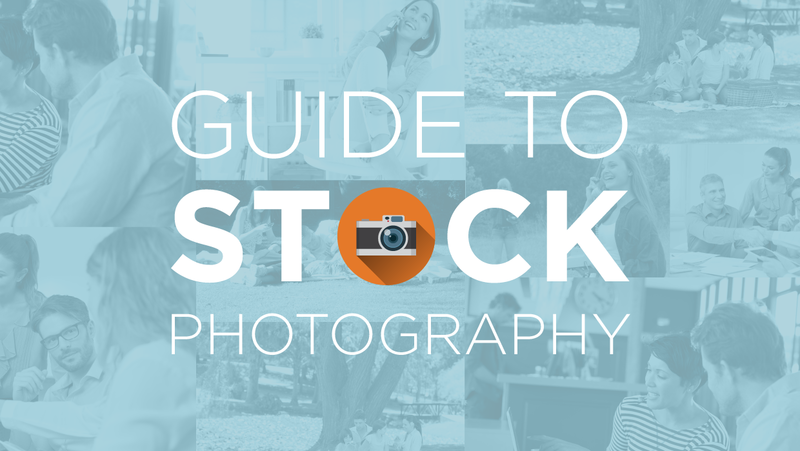 Here are a few things to keep in mind when searching for your next stock photo. First, focus on QUALITY. There are many stock photos floating around out there that should never be used. Just because you found the photo on a reliable stock photography site, doesn’t mean it’s a quality image. Always check the technical specifications. Make sure the photo is high enough resolution for where you are using it (print vs. web – your graphic designer can help you with this!). Also look at the exposure, lighting, focus and composition of your image. Sometimes these fundamental aspects are overlooked or forgotten by stock photographers, and those images should always be avoided. The bad photo on the left is an example of poor quality. This photo has harsh lighting, low resolution, and bad composition. On the right is a good quality photo of a family picnic. The next important aspect of a good stock photo is UNIQUENESS. Time and time again, I’ve seen the same group of happy, attractive business people gathered at a table, shaking hands or conversing. If you’re searching for a stock photo, and you recognize the model, STOP. Chances are other people have also seen this person or photo used before. Keep looking for a unique photo that will stand out among the rest. If your photography selection is unique, your brand becomes memorable and leaves an impact on your audience. The photo on the left is an example of a generic looking business meeting. The photo on the right is a good example of a unique business meeting in a specific setting. Next, keep it REAL. Stock photos tend to look like…stock photos. Avoid the fake smiles, cheesy props, and abnormally perfect backgrounds. Avoid generic. Look for photos that feel genuine. Authenticity can build your viewers trust. They can tap into your viewer’s emotions and engage them with your business or brand. Also, keep in mind that some stock photography can “expire.” Steer clear of outdated fashion and yesterdays technology. The photo on the left looks fake and outdated. The photo on the right is a good realistic example of a woman talking on the phone. Finally, remember your BRAND. Choose photos that fit the tone, style, and look and feel of your business. Your photo choices should compliment your brand, not clash with it. Sometimes, this means editing the right photo to work for you. Found the perfect shot of a girl eating an apple that will fit your ad perfectly, but need to change the color of her shirt? We can do that for you. Did you find a group photo that could possibly work well, but need to remove a person, or adjust the background? We can also do that. Sometimes, the perfect photo doesn’t exist in stock-photo-land and making a few tweaks and slight adjustments will make an image work better for your brand. Still can’t find the perfect photo for your project? Drop us a line at 910.681.0548 or send us an email.